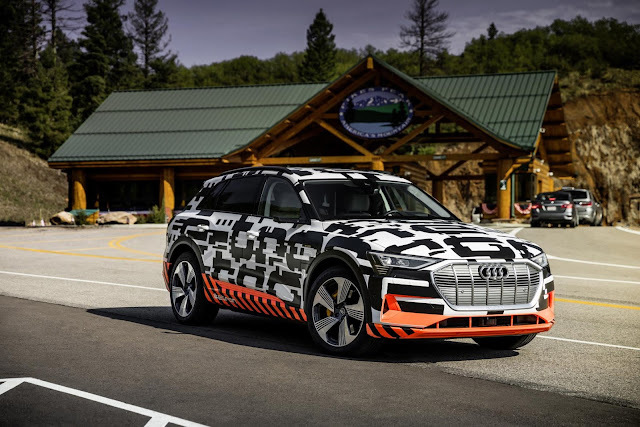 Audi has introduced its new e-tron, an electric SUV they claim is designed with efficiency in mind as it combines ‘enormous’ power and a long range as it is capable of covering more than 400 kms on a single charge, writes Trish Whelan. This full-size SUV with fully electric drive can go from zero to 100km/h in under six seconds. The car has different methods of energy recuperation combined in one vehicle for the first time. It recovers energy by means of coasting recuperation when the driver releases the accelerator, or by means of braking recuperation when the brake pedal is depressed. In both cases, the electric motors function as a generator and coverts the kinetic energy of the car into electric energy which allows the battery to recover energy in practically all normal braking manouvres making the system the most efficient on the market. If the brakes are applied at a speed of 100km/h, for example, the car can recuperate electric power that corresponds to more than 70pc of its energy input. This means that the electric SUV comes close to the level of a Formula E racing car in the 2018/2019 season in terms of its efficiency. 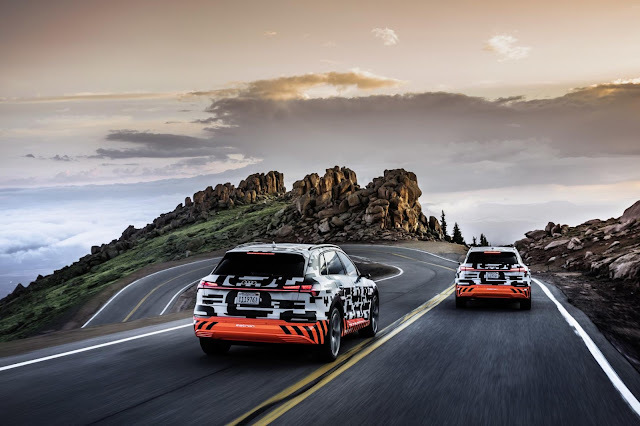 The Audi e-tron recently underwent a recuperation test at the famous Pikes Peak in Colorado Springs. At 4,302 metres, Pikes Peak looms high in the southern Rocky Mountains. On its 31 kms downhill drive, the electric SUV feeds so much energy back to the battery that it can cover approximately the same distance again. This new Audi e-tron will be available to order from all local Audi Ireland dealerships from early 2019.